This public meeting will be recorded, and a written transcript published on our website. Speakers should familiarise themselves with the Commission’s ‘Public Meeting Guidelines’ prior to presenting to the Panel. 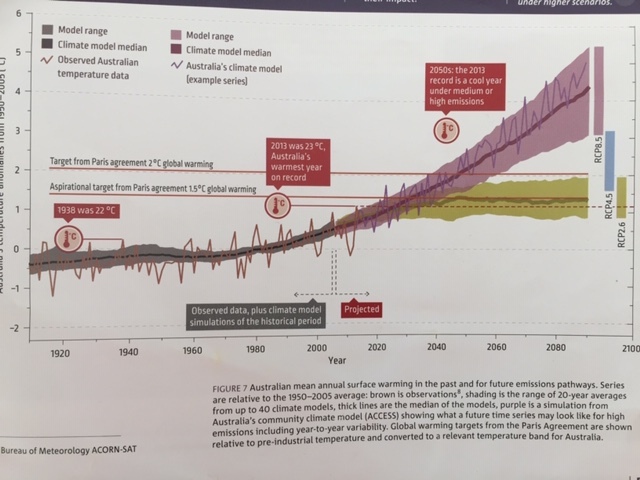 If you have any questions about the public meeting process or Commission's role with the project, please contact the officer assisting the Commission, David Way, on (02) 9383 2100.
https://thenewdaily.com.au/news/world/2018/10/08/one-chart-climate-change-ipcc/?utm_source=Adestra&utm_medium=email&utm_campaign=Morning%20News%2020181009 Australia has no right to jeopardize others lives and livelyhoods especially when reading the enclosed. We need to do our bit. We also have the responsibility towards our farmers and all Australians especially to those who come after us. If the Commission were to approve the project could there please be a condition that stipulates a methodology that will provide financial and population benefit to Rylstone and Kandos. The focus of the social impact assessments and the upgrading of roads has seen a focus on Mudgee to the detriment of these two towns. How can the benefits of such a project outweigh the costs, when the costs are almost certain to be catastrophic for civilisation? It is and has been clear for some time now that we must stop burning coal. We must divest from this, and we must also preserve our environment and heritage. I cannot see how it is sensible to allow this project to proceed. Please, do not approve this project. The NSW State Government should summarily reject any proposed new coal mining in the Bylong Valley, and the state generally. This week, the IPCC has warned us all that we have 10 years to transition to clean energy if we want to save our liveable climate. I protest the building of a new coal mine in NSW in the strongest possible terms. 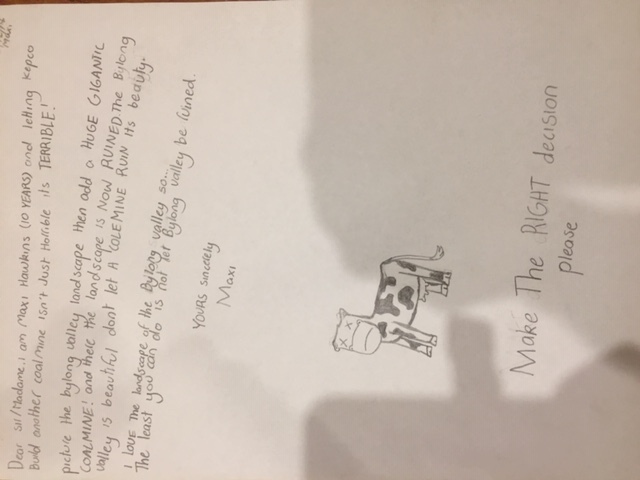 Reasons to REJECT the coal mine: risks to arable farming land from pollution and climate change; NSW is 100% drought and coal mines require a lot of water; community opposition. Living in the Blue Mountains for over 30 years before moving to the Northern Rivers, I am very familiar with the land in question and oppose this development entirely. Stop ripping up pristine farming land for short term gain! The next generation will never forgive us. I don’t really agree with open cut as underground is less invasive but do agree we need them to encourage growth and employment of our communities! I would like to support the Bylong Coal Project. This project will create many positions of employment for our council area. Our area is suffering from unemployment due to other industries closing over the last ten years. I wish the Bylong Coal Project every success in achieving their objective. I feel mining and the agricultural sectors can work side by side over the life of the project. I live and am employed locally. Kandos and Rylstone need a major industry locally who will employ locals so in turn increase the population who will support local business and eventually increase all services. We as a community need this. I have 3 children who would like to remain living locally and this can only be achieved if there is work here. 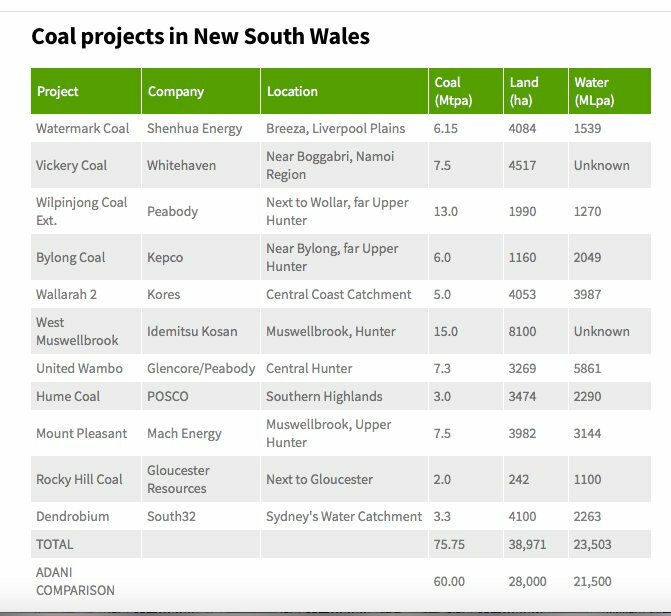 Myself and what I believe to be atleast 80-85% of the MWRC area completely support the the go ahead of the Kepco coal project! Smaller towns like Kandos and Rylstone are struggling since the closer of the local cement plant some years ago with the population depleting 40%!! Shops have closed and schools have struggled. A coal mine in Bylong will do so much for the entire struggling area. As a resident of Denman,being someone liasing with the public through my local employment and being the co-ordinator at the Denman and District Heritage Village I feel that Denman has been left out of your information sessions and updates. Although in another shire we are closer than Mudgee ,77kms .Your plan is already directly effecting us.Communication within our community please. I feel the local Rylstone/Kandos area needs to have another large industry within the area, the small communities need he business support and locals need employment opportunities that do not require >1 hour of travel. As a resident of the Rylstone Kandos community which includes bylong, I have watched the economic downfall of our small towns and it has been horrific of all. This project will give the jumpstart the community needs, from jobs, exposure to a huge increase in individual town income, this project will be the lifeline that will help bring our towns back to where they should be. 1. As per the most recent IPCC report, coal mining must cease as soon as possible to protect the existing climate. There is more than enough scientific evidence that burning fossil fuels, and particularly coal, emits the Greenhouse Gases that are building up in the atmosphere. 2. The Bylong Valley is a particularly valuable area. It is a food bowl; a heritage area; and tourism destination. Our governments must take responsibility for bringing back our clean resources into the public purse. It is no longer a viable business to put money in the coffers . Viable business requires funding and the creation of jobs from inventions especially those associated with creating or Saving energy. 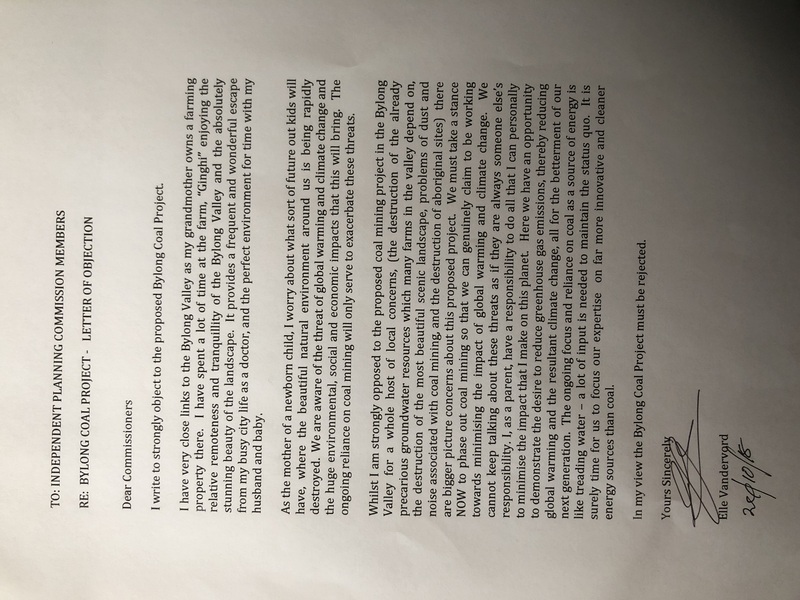 The proposed Kepco mine in the productive Bylong Valley could have catistrofic effects on local rural producers within a close proximity to the Bylong mine. WATER.. this pristine valley is unique in that most of the rainfall collects underground and runs in streams only several meters below ground level. This makes it idea for irrigation. Kepco want to mine 60 meters below ground level.